The U.S. 33 Corridor is an area defined by agricultural character that is on the verge of significant change. With rail access, several important highway interchanges and key interstate frontage, the area is highly accessible from I-270 and all points to the north and west. The corridor includes a broad range of commercial, industrial and technology-related uses interspersed with housing developments, large lot residences and agricultural uses. 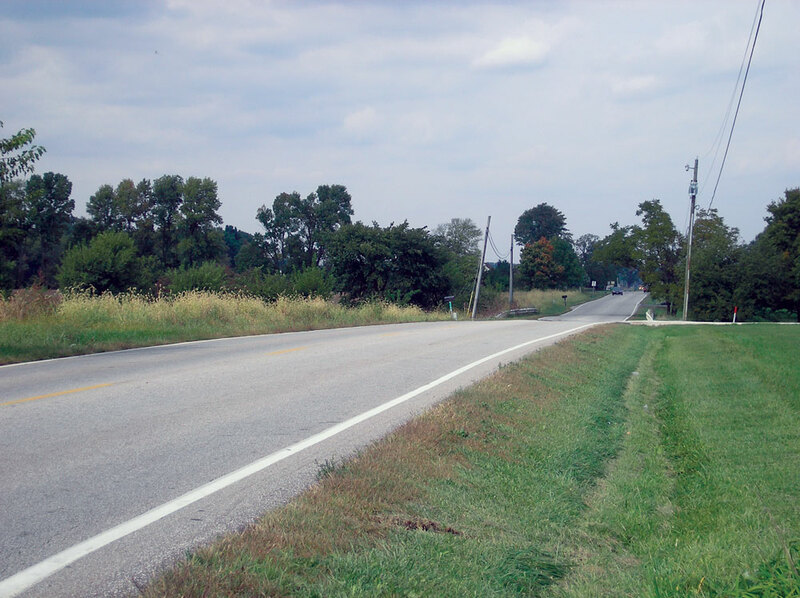 Bordered to the north and west by Mitchell-Dewitt Road, U.S. 33 to the east, and SR 161 to the south, the area remains largely undeveloped. The area includes significant woodlots and small watercourses. Currently, the City of Dublin corporate limit ends at SR 161 (Dublin/Plain-City Road), forming the southern boundary of this planning area. Although no land within the area is currently located within the City, this area plan is included in Dublin’s Land Use Plan because it is located within the negotiated water and sewer service area as established between the City of Dublin and the City of Columbus. Because the City of Marysville also has the potential to provide utility service to this area, annexation into the City of Dublin is not certain. These area plan recommendations serve as a policy guide for land use and development decisions if land does annex to the City of Dublin. However, the plan also serves as a communication tool to help ensure Dublin’s planning goals are understood by surrounding jurisdictions, regardless of annexation. Ensuring managed, high quality growth along U.S. 33 will be a significant challenge and goal that can benefit the entire Central Ohio region. Maintaining the City as an important employment center will be a key component to the long-term vitality of the City. The creation of a well-planned mix of office, research and support uses as a high quality gateway to the City is very desirable and consistent with the City’s established image. The area should include strong entry points to the corridor and should include a broad range of commercial service uses that will support prospective companies. Companies must also have development options ranging from campus settings to more walkable locations that will meet the individual needs of business. The corridor should include a distinctive identity through the use of landscaping, architecture, signs and other design elements. With significant visibility along U.S. 33, at interchanges and from major arterials within Dublin, key frontage sites within the U.S. 33 Corridor Area should include prominent uses and architecture that complement the image of the nearby West Innovation District to the south. In addition, clean manufacturing and other light industrial uses with the potential for greater visual impacts should be integrated within the corridor in less prominent locations (for instance, away from interchanges) to ensure an overall mix of employment opportunities while achieving the desired visual character for the larger area. Lower intensity uses should be provided to the north and west to conserve open spaces and natural features and to blend with the more rural surroundings. As a major employment center based on research,technology, assembly and flex space, future development must integrate a range of unique housing options that are accessible to employment areas while also buffering less compatible land uses where necessary. Places to live, as well as access to daily services should be strategically located to provide convenience within the context of the corridor. Great accessibility to regional greenway networks should also be provided from all land uses to offer a full assortment of amenities within the area for prospective businesses, employees and residents. 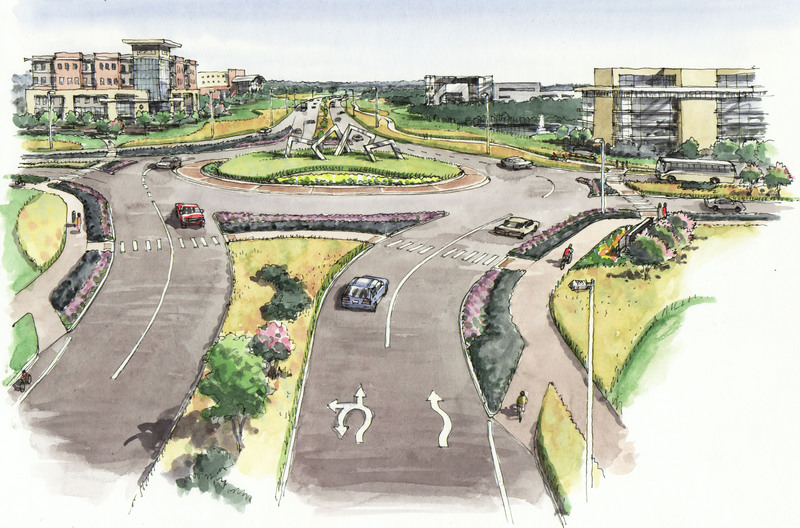 As a large employment center, the U.S. 33 Corridor should include an integrated system of pedestrian connections and spaces as an amenity for employees. In appropriate places, such as in denser, mixed use areas in closer proximity to the West Innovation District, architecture should be placed close to the street edge and configured to provide courtyards and spaces and to screen parking. Future options for transit (bus and/or rail) should be considered to provide long-term convenience and flexibility, particularly as link to lower density employment areas to the north and west. Pedestrian and bicycle connections should be provided between employment, transit locations, service uses, open space systems and housing throughout the corridor. 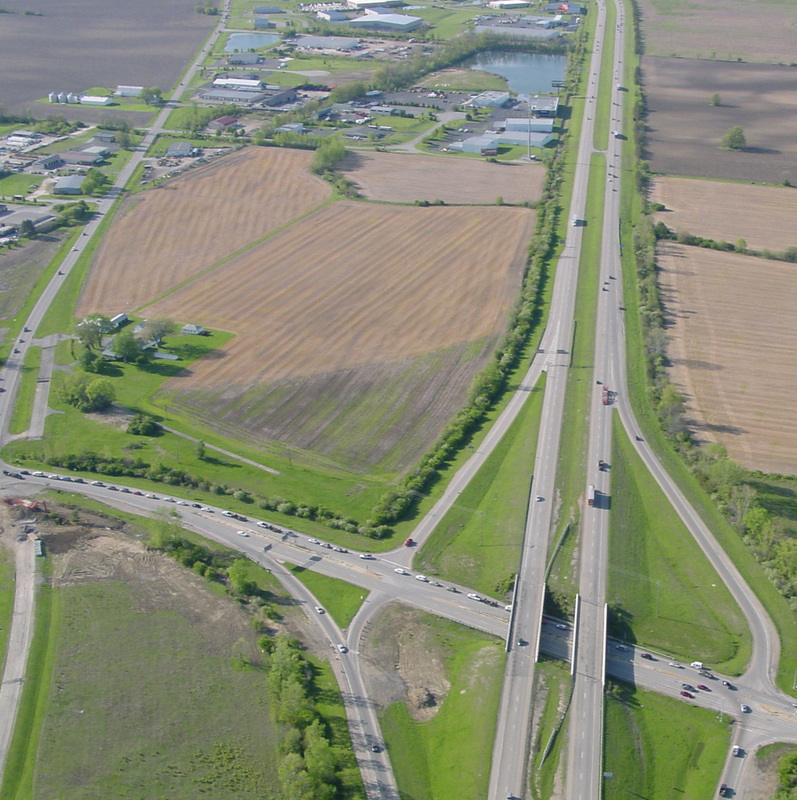 The U.S. 33 Corridor includes a significant amount of natural features such as woodlands, tree rows and stream corridors that should be preserved and integrated as valuable amenities. Environmental quality should be emphasized, particularly along the tributaries to the North and South Forks of the Indian Run. A key element of future development should include the integration of regional greenway connectivity and a framework of open space upon which all development is integrated. Focus should be placed on the natural context of the area through creative site placement, quality landscape design and the maintenance of unobstructed views to natural amenities. The integration of LEED-certified buildings or environmentally friendly design techniques should be highly encouraged as part of a cutting-edge technology employment center. Future development of the corridor as a major technology and research employment center for the region will depend on the ability to establish development standards that will achieve architectural and design quality in a manner that is flexible and responsive to the private market. Emphasis should be placed on establishing regulations that will allow a variety of companies to quickly follow business opportunities within the corridor. …To enhance the area as a key employment and service center and as a prominent gateway to Dublin with high quality development, strong gateway treatments and overall design features that exemplify the flex office,technology/R&D and light assembly focus of the area.